Tons of people in the United States rent their homes, rather than buying them. Doing so cuts down on responsibility in the event of natural disaster, the inevitability of appliance breakdown, and other costs – like the hefty purchase price – associated with owning a home. The same goes for vehicles; renting, or leasing, them is far more affordable than purchasing them. If you want a vehicle, but don’t have enough money to secure that vehicle, it’s likely that you’ll turn to financing a car or truck. Doing so get you the right to pay a vehicle’s purchase price in equal or variable installments over several months. Financing, however, requires you to apply, and can result in you being denied a vehicle, even if you offer material collateral or a down payment. Leave no stone unturned — the 2017 Jeep Renegade will take you to places you've only dreamed of, and beyond. Now is the time to get behind the wheel of one of the most unique Jeeps on the market. You can start adventuring in a brand new Jeep Renegade for only $19,245. This offer won't last long — now is the time to jump behind and get off-roading! Want to add more off-road capability and style to your daily drive? 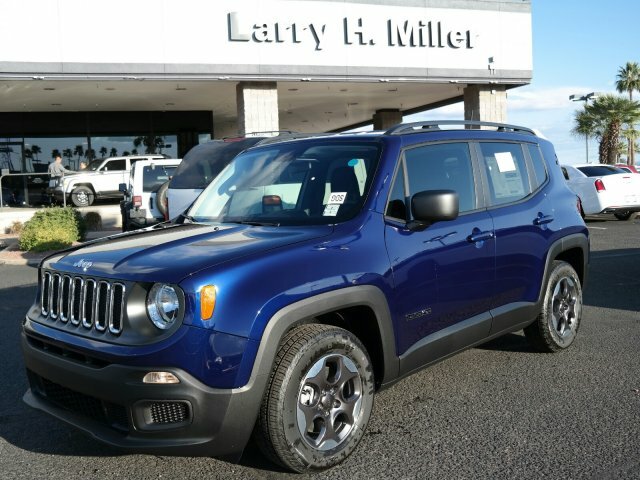 The Jeep Spring Clearance sales event is going on now at Larry H. Miller Chrysler Jeep Tucson and our team can help you get behind the wheel of a 2015 or 2016 Jeep brand model at an affordable price, all with the best incentives of the season.